The world’s climate is already changing. Extreme weather events (floods, droughts, and heatwaves) are increasing as global temperatures rise. While we are starting to learn how these changes will affect people and individual species, we don’t yet know how ecosystems are likely to change. Research published in Nature, using 14 years of NASA satellite data, shows eastern Australia’s drylands are among the most sensitive ecosystems to these extreme events, alongside tropical rainforests and mountains. 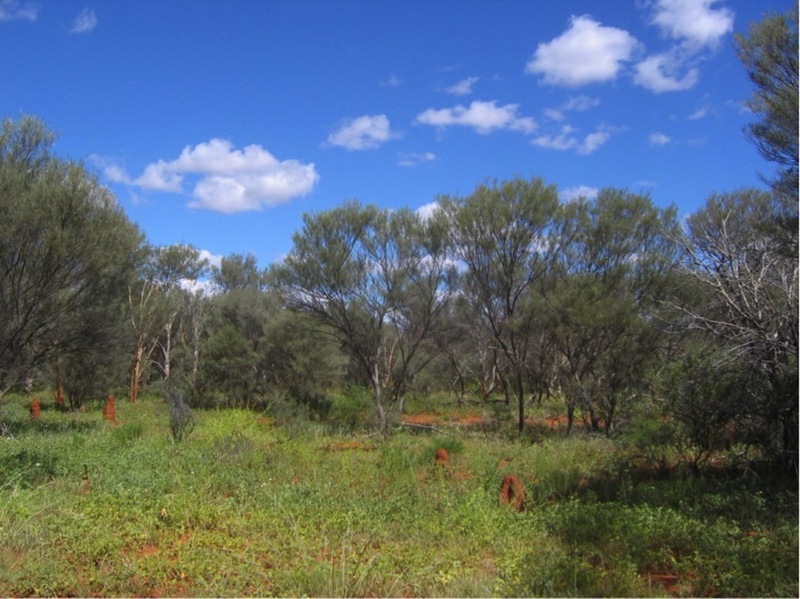 Central Australia’s desert ecosystems are also vulnerable, but for different reasons. As the world warms, this information can help us manage ecosystems and to anticipate irreversible changes or ecological collapse. Maps created using satellite data to show which ecosystems are most sensitive to climate (orange) and least sensitive (green). Both could be worrying as the world warms. Ecological theory tells us that as ecosystems become unhealthy, they approach critical thresholds (also referred to as tipping points). The more unhealthy they become, the quicker they respond to disturbances. Ecosystems that cross a critical threshold are transformed into new states, often with losses in biodiversity, exotic species invasions, and sudden forest die-off events. For example, over the past 10 years, ecosystems in the western US have experienced large-scale tree deaths and native, black grama grasslands have been transformed to the exotic, South African Lehmann lovegrass. Farms and crops can be thought of as agricultural ecosystems, and they are highly sensitive to variations in climate. This means they are very challenging to manage for sustainable livestock and crop production under such intensifying conditions of sudden good and bad periods. As humans we show weakened resistance when we are sick, and we become more susceptible to external conditions. Similarly, slower than normal ecosystem responses to external changes may also be indicative of an unhealthy ecosystem. Both of these measures, fast and slow, are early warning signs for ecosystem collapse. But how do we know if an ecosystem is going to collapse? Space offers a unique vantage point. The new research uses data from NASA’s Moderate Resolution Imaging Spectroradiometer (or MODIS) satellites. The satellites, orbiting roughly 900 km above Earth’s surface, measure things like snow and ice, vegetation, and the oceans and atmosphere. 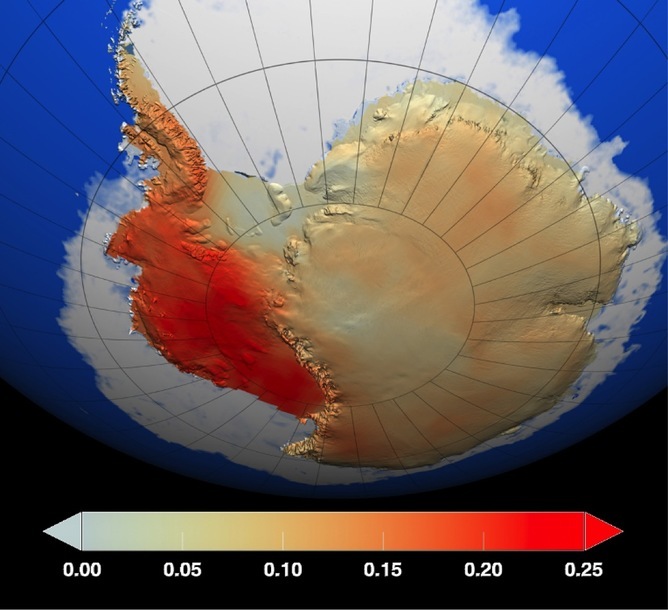 The satellites measure ecosystem “greenness”, which indicates how much an ecosystem is growing. This is not too different from a farmer visually interpreting cues of plant health based on colour, except that satellites can have the capability to analyse colour in parts of the spectrum beyond our sensing capabilities. The researchers developed a “Vegetation Sensitivity Index”, which showed how ecosystems responded to changes in climate. They particularly looked at changes in temperature, cloud cover, and rainfall. One nice aspect of this research is that it specifically shows which climate component has the biggest role in changing ecosystems. For example changes to alpine meadows were attributed to warming temperatures, while tropical rainforests were very sensitive to fluctuations in solar radiation (or cloud cover). 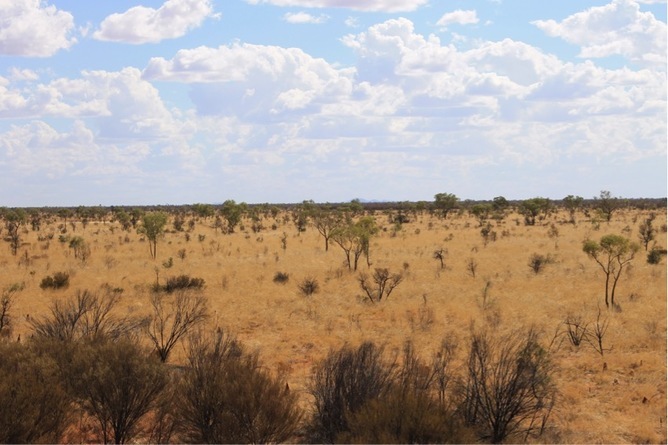 Australia’s dry ecosystems show dramatic changes between wet and dry. This is spinifex grassland during the dry. Spinifex covers around 20% of Australia’s land area. Mulga woodland during a wet period. Eastern Australia’s dry woodlands and semi-arid grasslands, according to the study, are some of the most sensitive ecosystems to climate change, alongside tropical rainforests and alpine regions. The main factor in Australia is water. This is in line with our recent study conducted in southeast Australia since 2000, which shows sudden, abrupt shifts in ecosystem function over many semi-arid ecosystems. This demonstrated the vulnerability of eastern Australian ecosystems to climatic variability and future extreme climatic events. 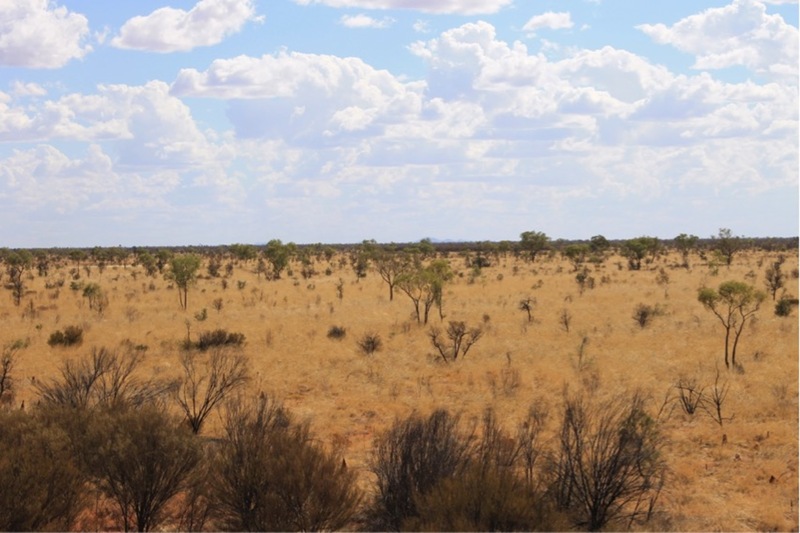 The new study also found central Australia’s deserts and arid lands show unusually slow responses to climate variability, which is concerning. Slower responses may be an early warning that these ecosystems are approaching a critical threshold before collapsing. 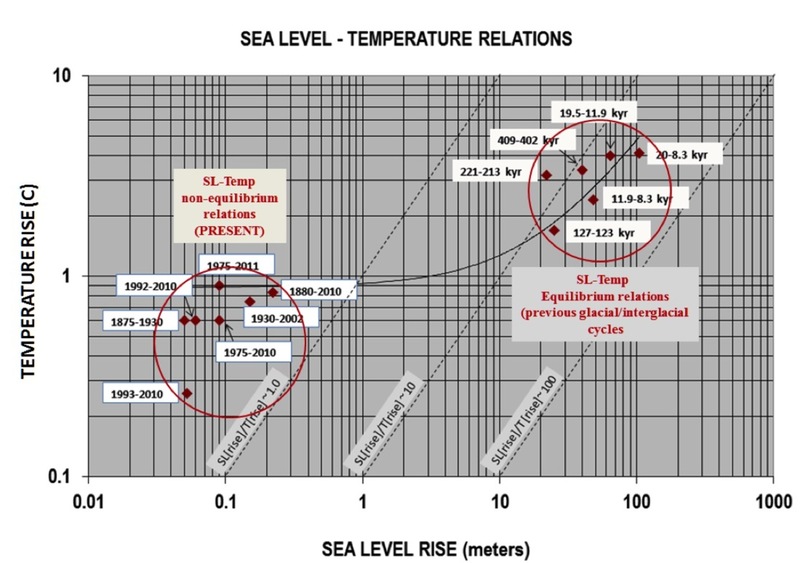 But this might also be an adaptation to the extreme climate variability these ecosystems already experience. The vegetation “knows” that the good, rainy times don’t last and therefore they may not invest in new growth that will later become a burden when drought returns. What does this mean for ecosystems? This research isn’t the end of the story. Although satellite data are valuable, they can’t tell us exactly what are the causes or mechanisms of ecosystem change. To do that, we need information on the ground, and consistent data over long periods of time is hard to come by. One example is Australia’s Terrestrial Ecosystem Research Network, or TERN. The next step is to attribute the reasons why some systems appear to be more sensitive than others and more importantly, predict where and when the critical transitions will occur. When forests, grasslands, and other ecosystems approach their critical thresholds, their resistance is weakened and they become highly susceptible to insects, pests, disease, species invasions, and mortality. One way to help ecosystems cope may be to reduce pressures on the land, such as recreation, harvesting and grazing. If ecosystems collapse, we can mitigate some of the damage by helping wildlife and minimising soil erosion and runoff following tree deaths. But the most important thing is recognising that each ecosystem will behave differently; some may collapse, but others will survive.